This minimalist card holder is made of wood (real wood!). 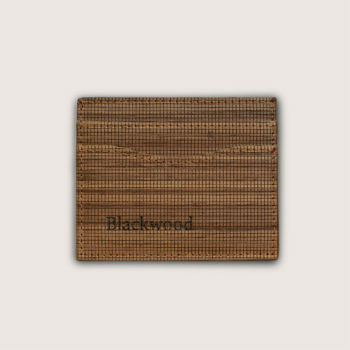 Each card holder has a unique light wooden pattern. It’s here to remind you of its natural roots. 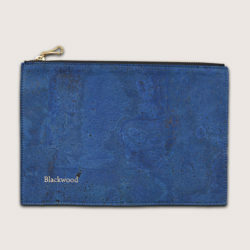 It comes in a beautiful pouch made of 100% cotton. A great way to present your gift. This innovative wood material will resist to any key scratches. Just 3mm thick. 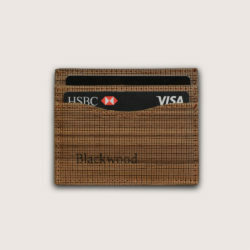 It is super compact for a card holder that can hold up to 7 cards. Made of cork leather and organic cotton, this card holder is eco-friendly, plant-based, and cruelty-free. Once again, we’re pioneering with an ultra sustainable material. 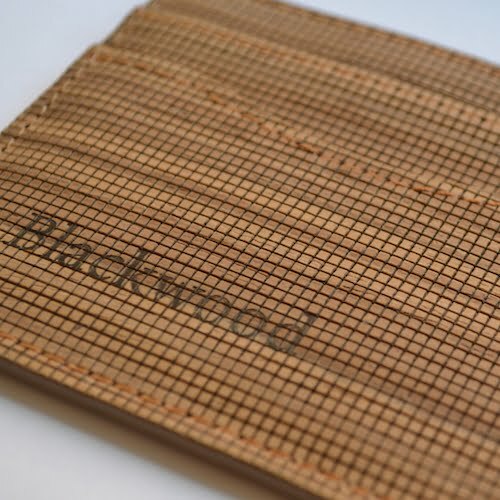 All the wood used to create this thin layer of wood leather comes from forests, which are certified for their ethical management and respect for the whole ecosystem. This material is 100% animal-free. It’s also environmentally friendly and biodegradable. 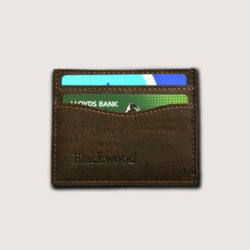 Wood leather reduces your carbon footprint. 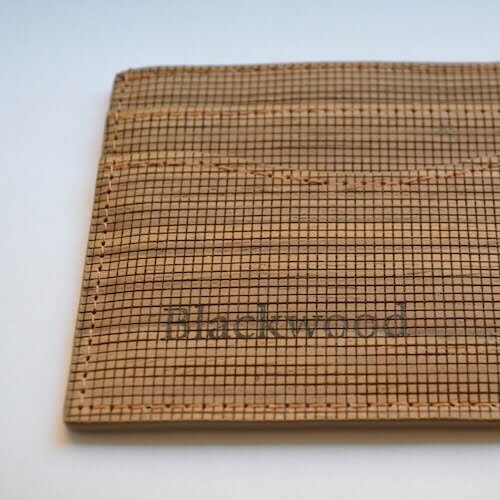 Apparently, a study found that using wood instead of animal leather reduces the quantity of CO2 emitted into the atmosphere by about 60%. Wood leather is also very resistant. Think about it. The whole exterior structure is made out of wood. It will resist to falling or being scratched by your keys. 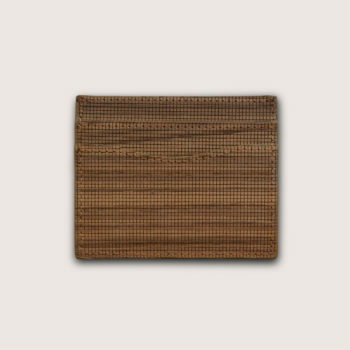 This card holder has been inspired by Japanese designs. It’s an expression of simplicity.